This sterling silver pendant is crafted with 22G sterling wire from H. Schmidt & Son, focal bead from Kim Hanes of Lani Kai Designs and spacer beads from Bits O' Glass. These beads are accented with sterling silver beads as well as green aventurine beads and carnelian beads for a very elemental look. 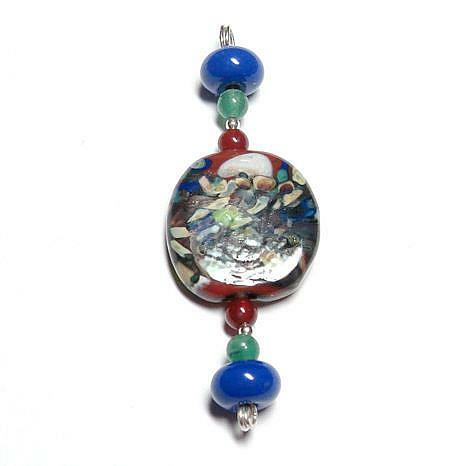 This focal bead contains all the colors of the cardinal elements - Earth, Fire, Air and Water, hence the name of the pendant.